I have decided that rather than leaving lots of stuff to pile up and then having to do big long blogs that take ages I'm going to TRY and blog more frequently. Certainly between now and christmas I have a few posts to get through. The good news is that in the last ten minutes I have finally got a working scanner. Its also better quality than any scanner I've had before which hopefully means it won't break with as alarming regularity as all the others. 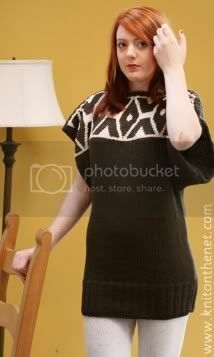 which roughly says that "Ondulux" in a few moments, simply by placing it on your head like a bonnet, will give your hair the exact waves that you want. Do you think it would work? to everyone who has messaged me both on this blog and privately about my last post. Those comments have meant the world to me and have really helped me regain my motivation and you have no idea how much I appreciate you all taking the time to lend me your support. The offending items have been removed from ebay and I have managed to stop myself spending the rest of my life trawling through every page of ebay and etsy for more of my designs, and I will carry on doing what I've been doing and more things besides. No pictures again today as I have also managed to loose the battery charger for my camera. I will get myself sorted shortly I promise. Spending the weekend with the lovely Jane Waller in her lodge in the woods looking through vintage patterns, ooh, and was interviewed today by Prima magazine for a piece they are doing on shopping in vintage and charity shops. 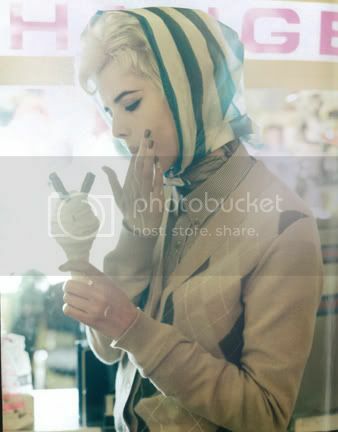 There is to be a 'glamorous' photoshoot in January at one of my favourite shops. Couldn't ask for more. Have a lovely weekend, whatever the weather. 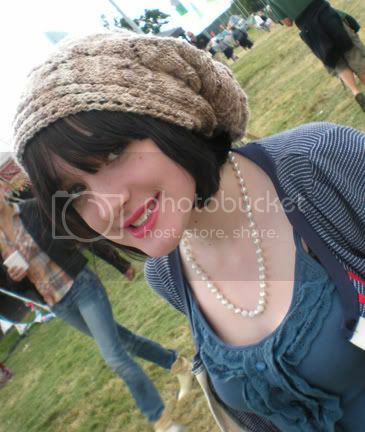 I was really disappointed to find out yesterday that someone is selling one of my designs, knitted up, on ebay. An email has been sent to the person asking them to remove the items from sale, but its just a real shame that people do this. I've had similar experiences before and it always knocks the wind out of my sails. I have offered those designs for free and at my own expense - yarn, time, blog/web page costs - and would like to think that people have the decency not to try and make money from other people's efforts. But I have been proven wrong yet again. I'm sure these people would be the first to complain if there were no more free patterns available, but it does make you want to stop. I could say a lot more, but I will leave it at that. I find writing the first post when I haven't blogged for a while very difficult as there is so much to talk about and you feel that you are going to be bombarding people with a three page long blog. So I thought the best thing to do today would be to say hello again, and then do a few posts over the next week or two bringing everything up to date. The main reason its taken me this long to get back in the saddle is that once A Stitch in Time came out I got the worst cold/flu I have had in many a year and although I kept going, inbetween doing what I had to do I was exhausted and felt awful. I must apologise aswell if I've missed any emails or comments during this time, but I'll try and get everything up to date now. Also my scanner broke which severely restricts my blogging. But really I should just use this first post to celebrate. A Stitch In Time is published, looks beautiful and is selling really well. 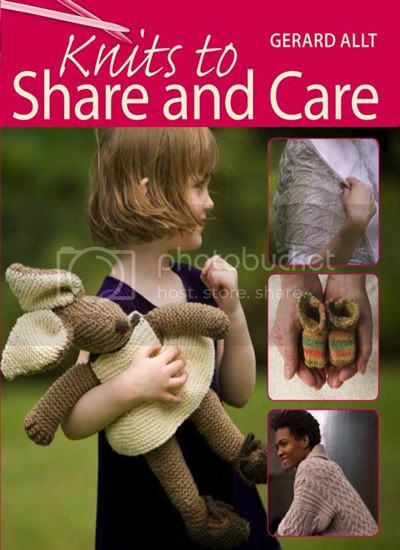 It can be bought directly from the knitonthenet shop or other retail oulets including yarn stores. It has taken up two years of my life and in the last few months has become all consuming, with little time for anything else, but looking at it now it was worth it. 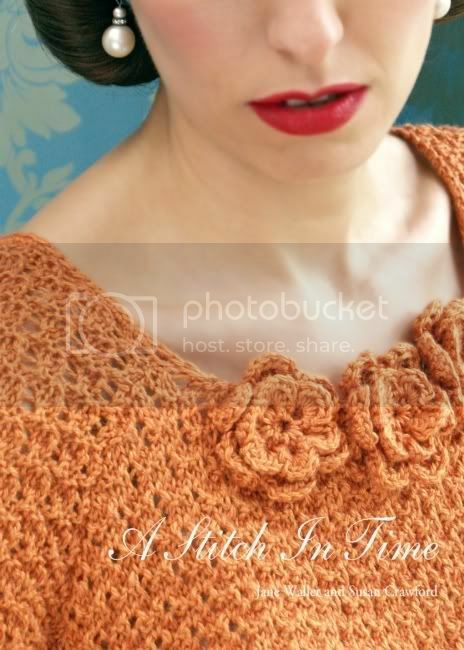 It is the culmination of a 20 year obsession with knitting, all things vintage and fashion and I am really proud of it and of what has been accomplished. 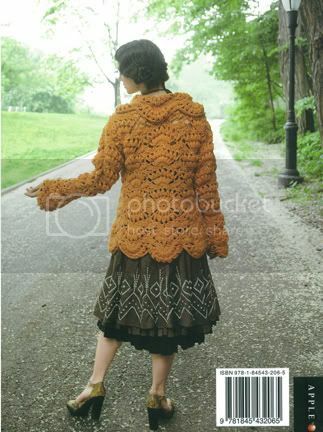 You might recognise this model from the book cover or from the cover of knitonthenet. This is my lovely friend Theo. And this is the fabulous Fleur De Guerre. Well actually its partly online, as there are still articles and additional patterns to be added but I have two patterns to share with you for now. The first is Truffle, which is made from Cashmere Canapa from Lanaknits. 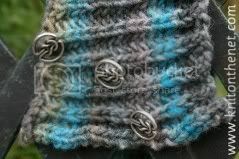 It is truly beautiful yarn to knit with and has fabulous drape once knitted. 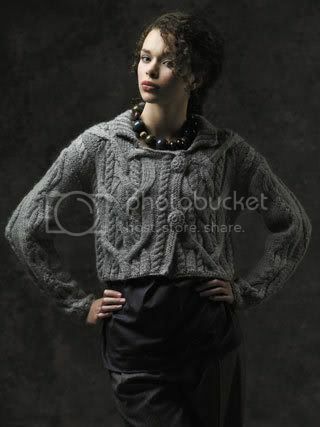 This is Truffle worn as a sweater which is how I would wear it, with the separate cowl neck. 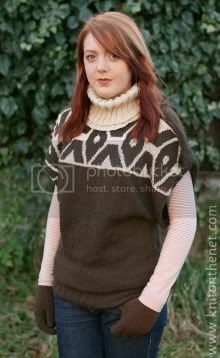 I get really hot and bothered when I have a polo neck on when I come indoors and this is the perfect solution for me. Here's a close up of the cowl. Very simple but very handy. 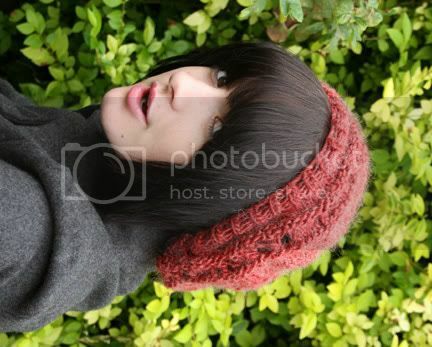 It could be knitted longer to work as a hood - a SNOOD! I didn't think they would be making a come back but they are so useful. 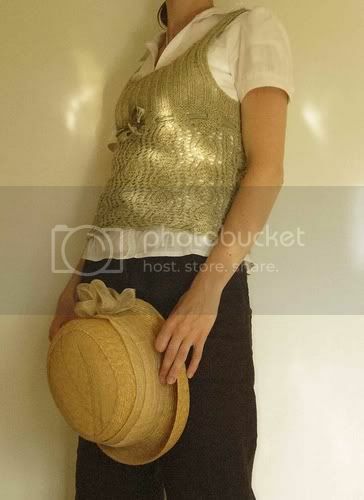 It would also look good with a belt round and worn as a tunic with another layer underneath. I'm really pleased with how flexible this garment has proved to be and the variety of body sizes it fits is amazing. Helen, the model here a size 34 inch chest and me a size 42 but fit into the same garment. Its fab. 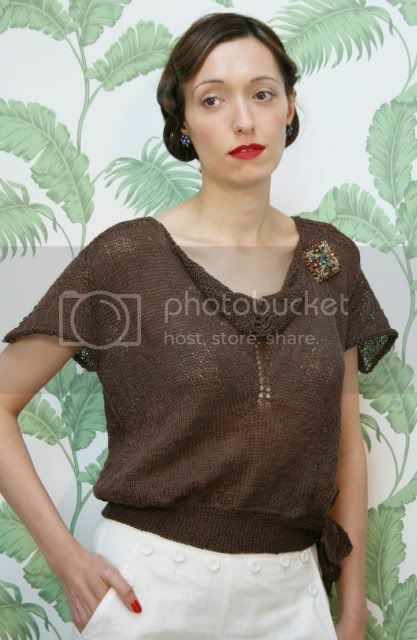 My second design is called Celia. I designed this scarf after experimenting with stitch patterns in the Encyclopedia of Needlework printed around 100 years ago. There was a plate of a beautiful stitch pattern but I couldn't make a lot of sense of the way it was written. Also when I sampled it the written pattern didn't give you the same border as shown in the plate. 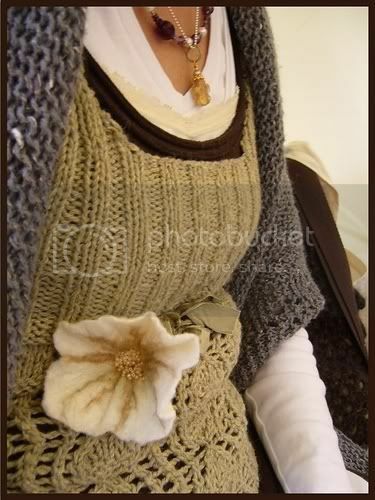 However, once I had got my head round the language it made sense and I felt it was perfect for a delicate but warm lacy scarf for wearing with a more formal coat, which is how it is shown here. 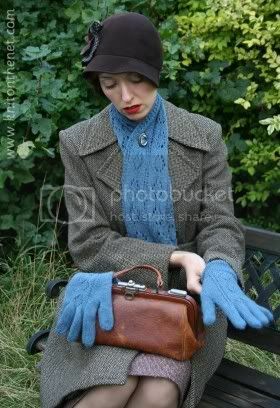 Now you may notice there are matching gloves and there is a matching glove pattern which will be following in the next few days. Unfortunately the pattern has gone astray and I will have to rewrite it and check it before it goes into the magazine. I hadn't given the design a name until I saw the lovely Theo modelling it and I immediately thought of Celia Johnson in Brief Encounter, with those beautiful eyes, so sad. So I named the design after her. She and Trevor Howard have got me through many an afternoon's marathon knitting session. There is also another design to come but the pattern isn't ready yet. Unfortunately they only show one of the beautiful photographs used in the printed article. Its been done as part of a larger piece about a return to austerity - more thoughtful living. Its very exciting. Who would have thought a book about knitting would be given three pages in a national newspaper. "The times they are a changing". again! Life is really moving so mind boggling fast at the moment it is terrifying. I would love it if time could just stand still for a little while, let me catch my breath and get up to date, before it starts moving again. I haven't even had time to read blogs never mind write mine. And I miss it. 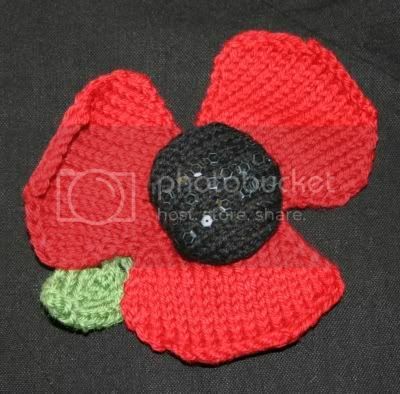 The next issue of knitonthenet should be live at the end of next week but in the meantime the knit a poppy campaign has been relaunched using my poppy pattern. 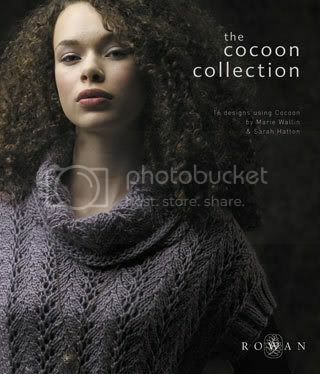 Also one of the two patterns I mentioned that were free in the I Knit day programme is now available on the knitonthenet site. 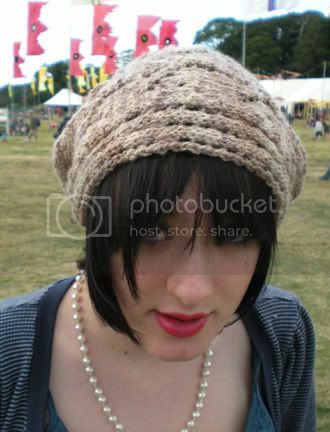 Here's Charlie looking gorgeous as always. and a little close up of the rib pattern. 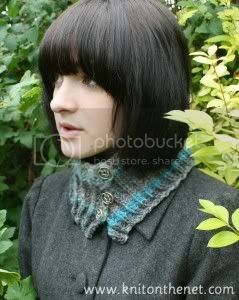 Slightly different to a normal rib, the pattern gives extra 'depth' to the fabric, making it warmer round the neck. I am actually getting a day out on Sunday and am going to the Knitting and Stitching Show at Alexandra Palace. One day is never enough, I would love to be able to go for a full weekend at some point so I can really get to see everything properly. Quite a few good friends will be there and I've got to make sure I get round and see them all, so I don't always get to see all that's going on. However, the first stand I always look for is Habu I really could buy the whole stand so I have to really control myself. I've got to drop some photos off at the Habu stand aswell which brings me neatly to the end of my post by mentioning that A Stitch in Time can now be pre ordered online here. I just can't wait to see the finished book. I've been trying to pick favourites but its impossible. There are so many gorgeous garments in the book. 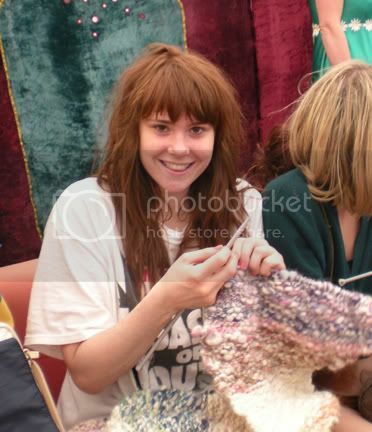 I wish I didn't need to sleep and I could knit all the time! Have been working frantically since I got back from the I Knit day and haven't had a chance to blog at all. 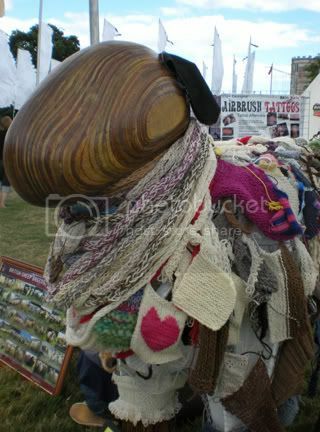 I've seen some of the fab photos that were taken on the day - most of them are on the I Knit flickr pool page here. So what have I been doing? Just like the two weeks before I Knit day, I have spent these last two weeks finishing - sewing up seams, sewing on buttons, knitting button bands and collars, crocheting matching berets, blocking, pressing, darning in ends, measuring and much more. 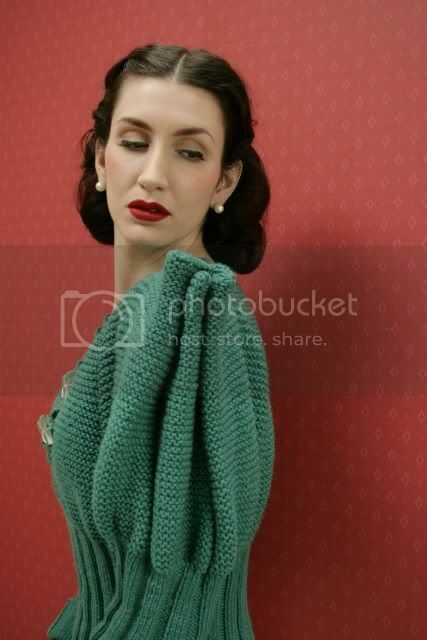 Another issue of knitonthenet is looming and I have SO much to do I don't want to think about it. which is out later in November. Even more exciting (sorry Gerard) is a date for publication of A Stitch in Time which is November 13th 2008. 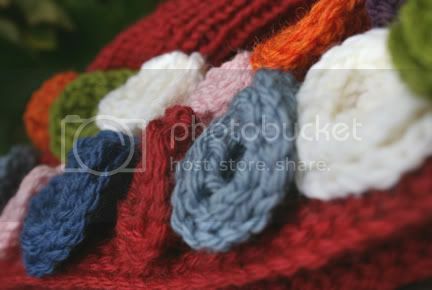 Knitonthenet's online shop should be ready in the next few days to start taking advance orders. This is the new cover featuring my beautiful friend Theo on the front cover. As I mentioned in my previous post, I also did two little designs for the I Knit day programme and I'll be putting one of them on my blog as a free ravelry download in the next few days. 1. 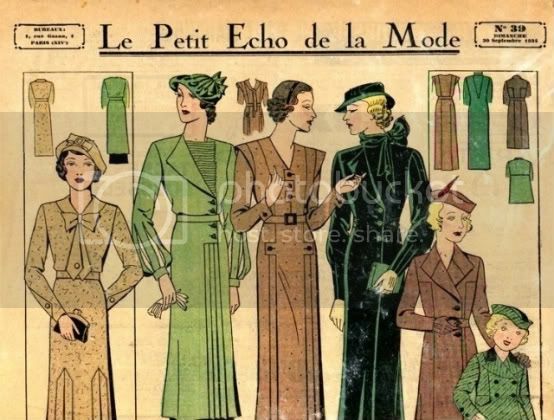 After a number of email conversations after posting the Galliano pattern from Elle magazine on my previous post I am finding out some more about the patterns from the magazine - Will they ever be republished etc? If anyone has any of these Elle patterns I would be very grateful for a scanned image of the photo page with the design number on. 2. I am also going to do some research on how patterns/designs came about in the Woman's Weekly magazines of the 1930's and 1940's. 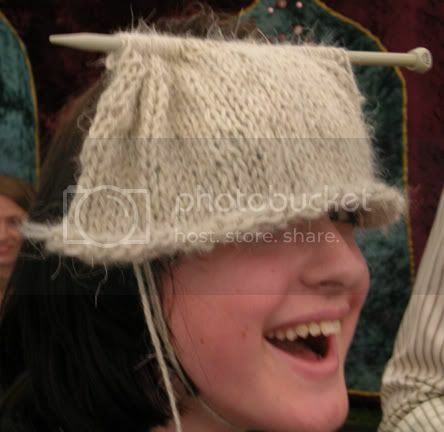 What I would really like to find out is who where the designers and the knitters. How long did they have from concept to completion and how did they work.I think it was an in house team, but I don't really know. If anyone knows or has heard of anyone whose mum or grandmother worked for Woman's Weekly I would love to hear from you. Finally, I've got a new computer - my lovely IMAC - and its taking time to get myself all transferred over and to get my scanner attached and I haven't got photoshop yet so I'm a bit low on the picture front. I will have some vintage patterns that I bought off ebay to show once I get all my equipment organised and hopefully a September/October competition. I can't think of anything witty to call this post. I have had such a lot of bother with my computer over the last few weeks, and since my last blog TEN whole days ago I've barely been able to use it. I have bitten the bullet and ordered a new MAC, which I hoped would be here on Friday but is now due tomorrow or Tuesday. I really can't wait. I spend so much time on this thing as we all do and there's nothing more frustrating than it wasting your time. 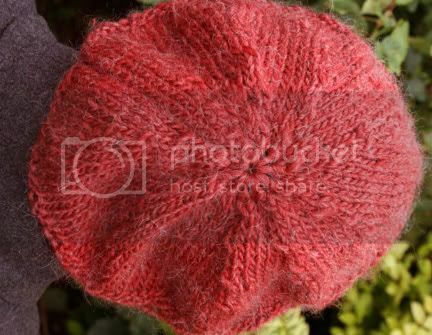 However I've managed to get some photos processed of mine and Charlie's matching berets that we knitted together, from the latest Rowan Cocoon book. 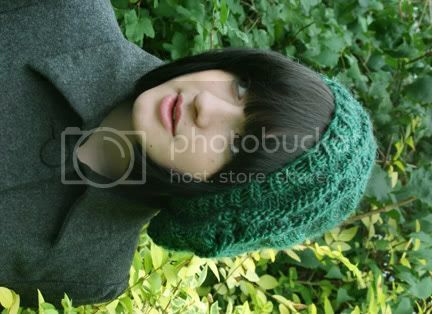 I knitted the green and Charlie the red - Charlie's modelling both as she looks so cool in berets. The pattern states one ball of Cocoon. You only just have enough. On the green one I've missed the last two rows of working straight out of the pattern to have enough left to cast off. Charlie just managed to get the full pattern out of hers. 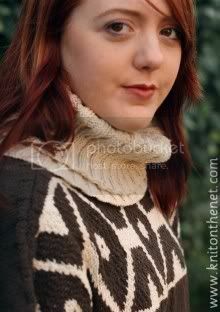 Other than that though, its a really enjoyable, quick to knit pattern. Great for presents. On the same day I took photos of a couple of projects I was working on for the I Knit day. 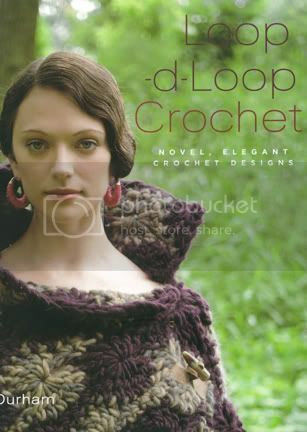 There will be two free patterns from me in the programme that's given away on the day. This is a little teaser from one of them. Does anyone remember those halcyon days when Elle used to print a monthly knitting pattern? My friend Julie lent me this one that she found buried deep in her collection. A John Galliano knitting pattern! Not only that but it is gorgeous. 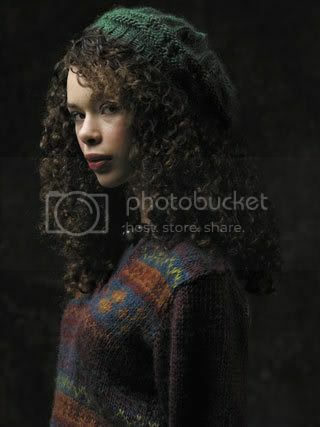 I am desperate to start knitting this but know that I can't yet. Its done in Jaeger Matchmaker 4ply, of which I have mountains. The body is knitted in one piece from front to back, folded in half and sewn up. 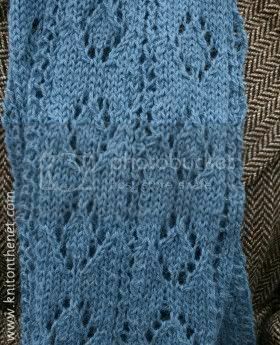 The neck - inside of the cable cross over - is knitted by picking up stitches on both sides of the cross over. There is then also a placket and a seperate collar. 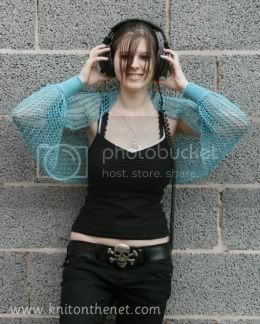 The sleeves work so well too with the cross over cable at the bottom of the sleeve rather than at the top like the front. Seeing Galliano's name on a knitting pattern reminded me of a Pinguoin booklet I used to have from the 1980's. It was called Pinguoin Creatures. There was more than one of these, but this particular edition had patterns from Jean Paul Gaultier, Azzedine Alaia and I think Anthony Price and Sonia Rykiel. Does anyone else remember this? Does anyone have a copy or know where a copy may exist? I would love to see it again. I might not even like the patterns anymore but it really saddens me that I lost it. But at least I have my Galliano now. Or chronologically, the Beast and the Beauty: I have had a very unsatisfactory day today in some ways, spending a considerable amount of time pinning and blocking the pieces of a garment to find that the fronts are different lengths to each other and both different to the back. I'm relieved to say I didn't knit it but I'm annoyed I didn't notice sooner. The welts are completely different lengths and as it is a cardigan its really noticeable at the front. The garment unfortunately can't be used, and I've blocked so some serious winding and washing is to be done. 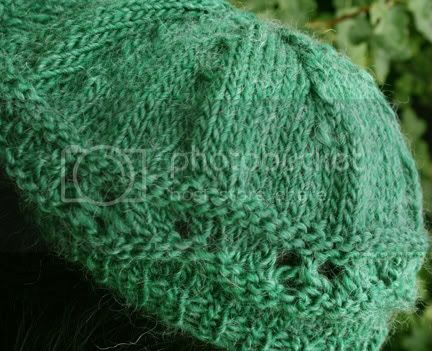 Charlie and I have started on this lovely beret pattern together. This is the first full pattern that she has followed so we're going row by row together. We should hopefully have them finished in a few days. 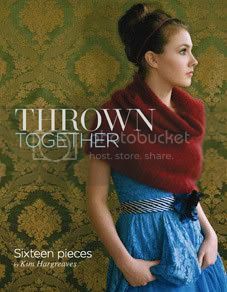 I took delivery a few days ago of the latest Kim Hargreaves book called Thrown Together. She has done the most fabulous version of my design. She knitted the body in the round, just starting at row 1 stitch 1 as the 2 piece pattern and had no problems with the pattern. I've used the word a lot in this post but it is beautiful. We've just returned from our family holiday to a beautiful villa in the heart of the Ibizan countryside, where all we have done is swim, sleep, eat, read and knit (a little). I had hoped to blog before we went away but the last 24 hours before we went away took a turn for the worst when I asked my lovely daughter for the twentieth time to give me her passport (which she was looking after herself because she's a big girl now) and IT HAD EXPIRED! At first I didn't panic as we are quite near to the main passport office in Liverpool, and they operate a 24 hour premium service. So we rang to arrange for her to go the next day to replace her passport to be told they had commenced a three day strike and there were no appointments available and we couldn't go to the office without one as security would turn us away. The lady at the end of the telephone was unfortunately, very unsympathetic. 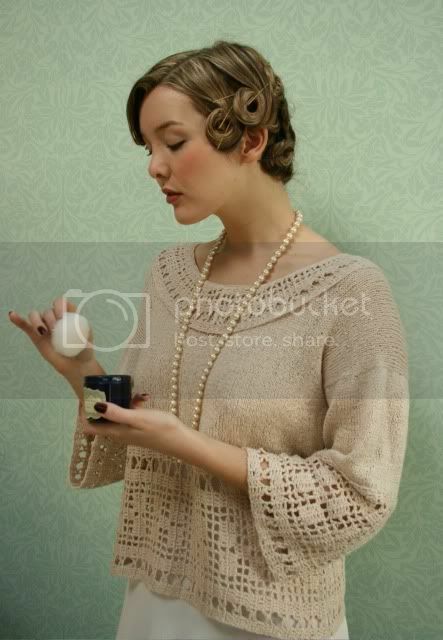 So we had a cry and a panic and tore our hair out for a while, and then decided to ring again. This time we got the loveliest of people on the phone, who did say the same thing that there were no appointments available but to get down to the office at 8 am the next morning with everything necessary and to beg! It was not the most comfortable 24 hours - but finally at ten past four in the afternoon she had a new passport and we were able to go on holiday. Whilst there, I did manage a little of my planned holiday knitting although only in the early morning when it was relatively cool. I knitted most of my Lost in Music cover up, I have about 4 inches to go then just the cuffs to knit. 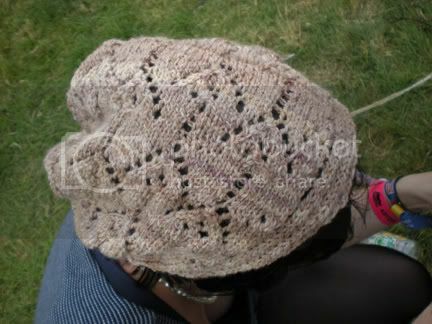 I also cast on and did the first pattern repeat of Taj Mahal by Gudrun, using some lovely Habu Silk in a wheat colour. 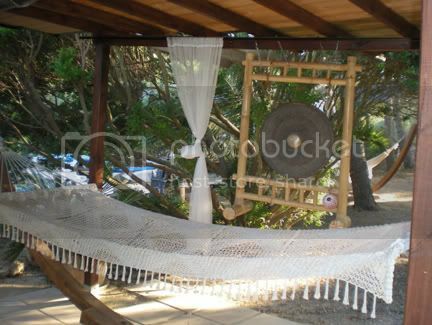 I also took Orchid from the latest knitonthenet on holiday with me to get some photos of it around the pool and on a 42 inch chest as I think its a really flattering design on those of us more well endowed ladies. Here's a little selection of it from different angles - and the pool, the lovely, lovely pool!